Diane Chasick started LifeSmile Health in 2010 as a way to help others enjoy life more through healthy habits. She received her degree in Criminal Justice from University of Georgia in 1979, then law school at Stetson in Florida. Positions in Real Estate followed, along with many volunteer commitments with emphasis on helping those in need. Family care-taking has been a constant in her journey. 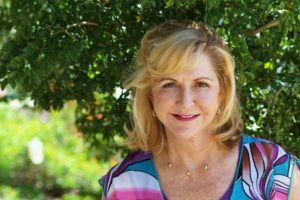 In 2008, a health crisis of her own allowed Diane to see the path to fulfillment through a company offering health, beauty and personal development to others. “May we all grow personally, professionally and philanthropically….sharing our wealth with each other and beyond.” It’s important to Diane that she share her new found solution to healthy living and natural pain relief with Somaderm hGH Gel and Avacen Heat Therapy. Along the way she discovered SeneGence and realized that you don’t have to sacrifice beauty for practicality. Diane and her LifeSmile Team enjoy personal development through positively influencing others. Sharing products which promote health and wellness, provides a way to build your own strong business with support and guidance to succeed.